A Doctors "Life Advice to living in a toxic free Environment"
What we know now in medicine doubles every two weeks. Medicine has seen a phenomenal growth in this new century. Part of that growth is understanding how those things in our environment can affect our health and well-being. 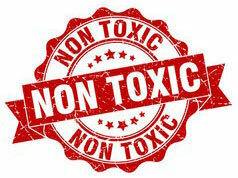 Investigations into many areas have led to cautions and even leading to bans on many commonly used products. We know that severe health challenges are seen in ever increasing numbers. The number one challenge we are seeing on a daily basis is the ability to get adequate “sleep and rest”. One of the easiest tools one can implement is that of a pillow. In years past, many pillows were prepared with feathers or down or other animal-based fillers. We have over the years come to understand the effects of animal dander on the allergic sensitivities of people. It can have mild to drastic effects, and when your respiratory system is chronically exposed there can far reaching complications into almost every aspect of one's life. We also increasingly aware of the effects of foam that many pillows now have. Years ago, foam rubber was prepared with isocyanate materials. Now most foam rubbers are made with polyurethane. We have also come to understand the far-reaching effects of these agents on the health and well-being of those constantly exposed. Foam is consistently releasing gas which may have its own effects on overall body health. Once foam rubber is made it does not naturally decay and proves to be an issue in our landfills and entire ecosystem. My goal is simple; to educate, create and introduce products which may add to the overall health and wellbeing of consumers with ease. This new pillow is filled with Kapok, therefore, all natural and healthy. With the added benefits of silver, it gives us that "peace of mind" during travel or at home. In the practice of medicine over these many years a person comes to realize the importance of not just good sleep but "healing" rest and sleep. When I was a child growing up my mother had purchased a feather pillow for me which was wonderful to lay my head on. However, throughout my grade school years I had chronic respiratory infections. Finally, one day our family physician advised my mother to get me a different pillow. The relief was dramatic, I had no idea what that pillow had been doing to me, leading me to understand although it may have been comfortable it was contributing to my "allergies". After that I would purchase cheap foam pillows and throw them on the bed. They were not that comfortable, but I had no more (allergic) infections as I did in my childhood. When I went to college, I had the unfortunate experience of sustaining a neck injury which required my neck to be fused. Once again, I was in the market for the right pillow for me. My personal need and those of my patients inspired me to contribute to creating the Silverite pillow. Therefore, putting all the elements together which I had learned that are critical in an individual's ultimate health. The design of this pillow was created as close to the pillow of our youth as possible with all the critical materials for essential rest without the toxicity. The Silverite pillow is as comfortable as a feathered pillow and it can be tailored to the comfort of your neck. With my long-time respect of the element silver it is added to the pillow to give you the ultimate in sleeping comfort plus protection. The antimicrobial properties of silver are being put into numerous everyday products as it's highly regarded for its benefits. 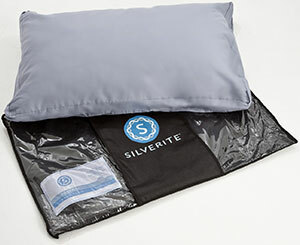 Our Silverite pillow is free from most of the chemicals and toxins that are found in many pillows today. Rather than loading up on pharmaceuticals, I chose to look to nature for many of the answers such as the elements in our pillow i.e. ; silver, 100% cotton, kapok. I am proud to be part of the Silverite movement, which assists people with obtaining the most restful, peaceful sleep every single night. I invite you experience this unique and breakthrough pillow! As a healthcare professional "your" care is not taken lightly. Don't wait-people are praying for a good night's rest, but they just haven't met Silverite yet! 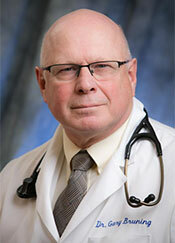 Dr. Dr. Gary Bruning is one of the rare physicians which put the "heart" into the practice of caring for his patients. He practices family medicine in the heart of the beautiful Midwest and is known for his pursuit of excellence in health care and his desire to make a massive difference in his patients' overall health. 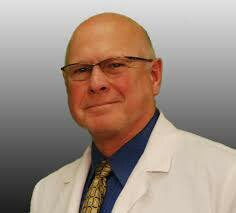 Many of his patients say that Dr Bruning is very much like Dr Marcus Welby they used to watch and love on TV. 30-day Guarantee on unopened and defective items. *Note: You will not be ordering this item from Amazing Health Advances. Your order will be processed on the Silverite site. Please contact them directly with any order inquiries or questions about this product.